At the Ficara Law Office we understand that legal proceedings can be both emotionally and physically difficult to deal with. If you have never been to law school, then chances are that you may not be familiar with the terminology being used to discuss your case or even comprehend completely what you need to do to be successful. Some law firms allow their clients to stumble blindly through the process, taking care of the legal side of things but never fully explaining what is going on. The Ficara Law Office offers a different approach. Ignazio Ficara takes the time to work one-on-one with his clients so that they can fully comprehend what is being done on their behalf. By providing personal attention and individualized service, Ignazio Ficara is able to better articulate the goals of each one of his clients, leading to a more satisfactory outcome for all parties involved. 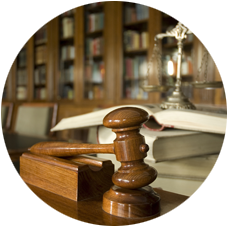 Successfully executing a legal case is about choosing the right lawyer to represent you. Ignazio Ficara has over 30 years of experience, specializing in estate planning, probate, bankruptcy and living trusts. 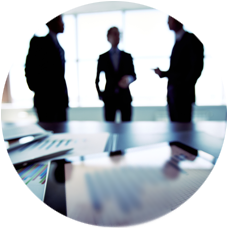 He understands the importance of his role as a legal advisor and mediator in cases that often require immense understanding and personal attention. Because many of his clients come to him under unhappy circumstances, Ignazio Ficara proceeds with discretion and empathy. He takes the time to understand the unique context of each case and provides experienced legal advocacy that is customized for the best interests of his clients. With a vast portfolio of experience, no case is too complex for Ignazio Ficara. He specializes in providing a voice for those who may be unable to speak for themselves by relieving some of the stress associated with coping with financial hardships, or estate management preceding the death of a loved one. When individuals require legal advice, they want to feel as if they are being provided with the best representation available. This means that they receive knowledgeable advice that will help them make the right decisions from which they will benefit. The Ficara Law Office understands this and provides dedicated service that is honest, informative and extensively researched. The Ficara Law Office is devoted to helping individuals better understand their own proceedings so that they can make well advised and informed choices for both themselves and their loved ones.